Selecting the appropriate roof for your building is one of the most important decisions when planning your construction project. 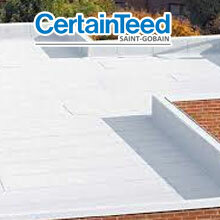 The roof protects your most valuable assets from the elements and can contribute to lower heating and cooling costs. At American Roofing of Jacksonville, roof systems are all that we do, and we have always done it better than the competition. We use only the latest state of the art technologies and employ the most experienced crews in the Jacksonville area, so you can feel confident about the installation of your new roofing system. For years, American Roofing of Jacksonville has been engineering commercial roof systems for new construction projects with every material from modified bitumen to metal coating. With years of commercial roofing experience, American Roofing of Jacksonville is your best source for new roof construction. Whether you require a one-time roof repair or the implementation of a recurring preventative maintenance program, you can trust the commercial roofing masters at American Roofing of Jacksonville to get the job done right. American Roofing of Jacksonville maintains a full-time staff devoted to roof maintenance and repair, and provide a 24-hour emergency roof repair service. The process of a total roof replacement is in some ways more challenging than installing new-construction type roofing systems. Every building is unique, each one has its own obstacles to overcome. 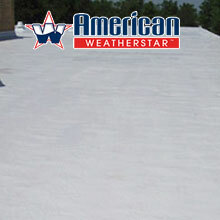 That's why the experts at American Roofing of Jacksonville the best option for your roof replacement needs. American Roofing of Jacksonville offers inspections by request or on a yearly basis. For roof inspections, we send out a qualified inspector to perform a comprehensive roof analysis. Each roof is then given a score and is photographed. A detailed inspection report is then filed to highlight any defects found.